← About books . 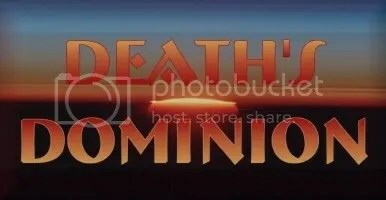 . .
Death’s Dominion was updated today with Chapter Nineteen: Waves break loud on the seashore.Summary: Severus continues to recuperate. Hermione visits while Gareth is there. Minerva tells Severus he may shower – with assistance! The epilogue for RaM is still not finished, but it will be forthcoming sometime soon!